It’s show time! We ‘d like to share some of the dates when we are attending shows this year with you, including our own open day and clearance sale on 16th June. 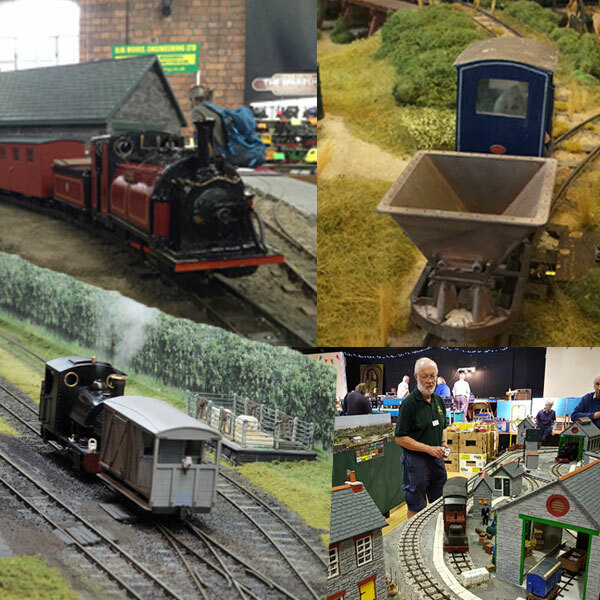 It’s hard to believe that Large Scale Model Rail has already been and gone (and what a memorable weekend that was!) but we hope to see as many of you as possible at shows around the country during the rest of 2018. Probably the biggest and best event of its kind in the UK. Raffle, competitions, junior activities, member to member sales, landmarks display. You can find full details here. We can now confirm that we will be supported by Swift Sixteen, Model Earth Design & Talisman Brass Castings and Blackcat Bridges among others. We will be running Accucraft locomotives in 1:13.7, 1:19, 1:20.3 and 1:32 scales. Opening times are 10:30hrs to 16:00hrs and there will be an on site café offering refreshments and light lunches. The “Tracks to the Trenches” 2018 event marks the finalé of the Moseley Railway Trust’s First World War centenary commemorations – highlighting the tremendous expansion of the British light railways, which were used right up until the Armistice in 1918. 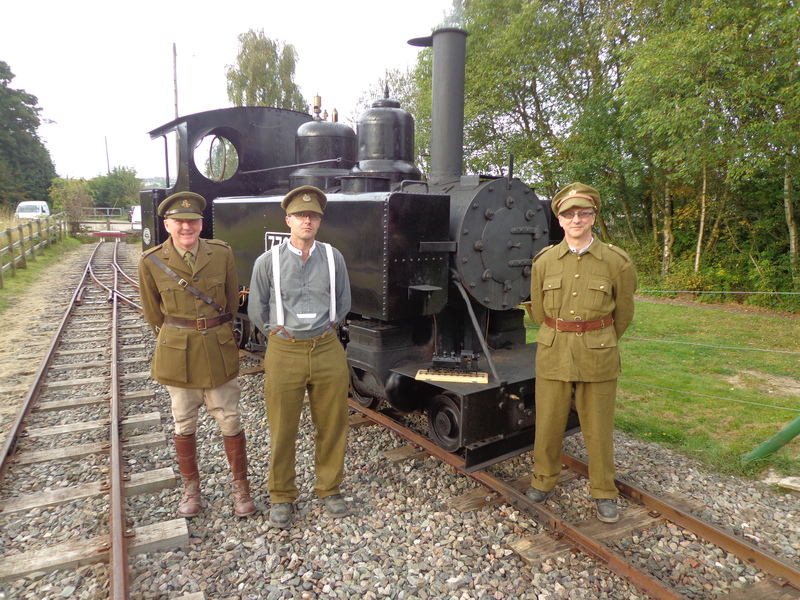 In 2014 and 2016 the Apedale Valley Light Railway hosted major First World War centenary events – marking 100 years since the start of the “War to end all Wars”. These highly acclaimed centenary events focused on the often overlooked areas of Transport and Logistics used by all combatants during the conflict. This was the narrow gauge light railways’ finest hour. You can find full details here. This will be the first chance many folk have to see a working WD Hunslet 4-6-0T both full size (No. 1215) and 16mm scale (Accucraft!). We will be attending the Llanfair show at the beginning of September where we will be unveiling some of our plans for new production in 2019. As usual the weekend coincides with the Welshpool & Llanfair Light Railway Gala which makes it a doubly worthwhile trip out! The W&LLR Gala is their biggest event of the year, now over three days, Friday, Saturday and Sunday. Every operating engine will be in use. 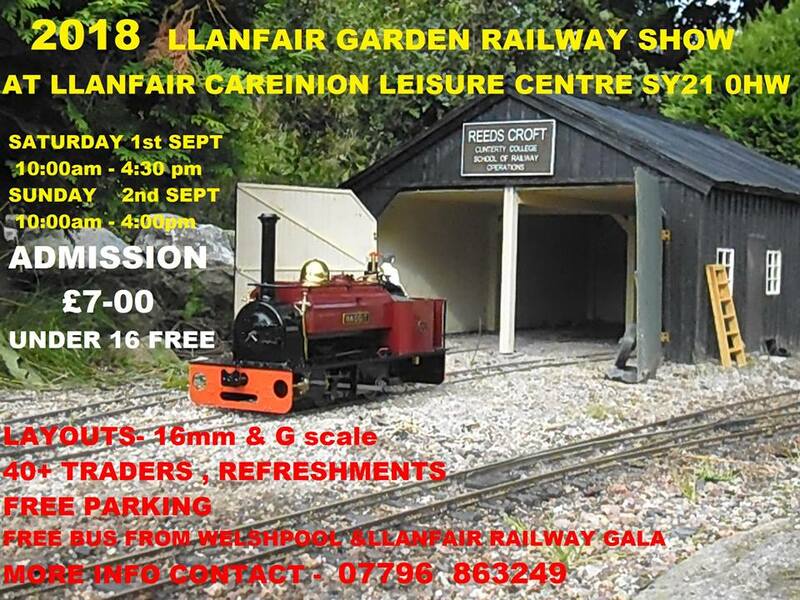 There will be traction engines, steam cars and lorries, a model railway exhibition, demonstrations and trade stands, and a shuttle bus to the garden railway show up the hill at Llanfair High School. You can find more details here.